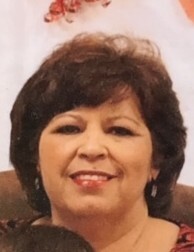 Sandra Byrd Weaver, 58, a native of Mount Vernon, Alabama, longtime resident of Macon, Georgia and current resident of Satsuma, Alabama passed away peacefully on Thursday, April 12, 2018 at her home surrounded by family and friends. 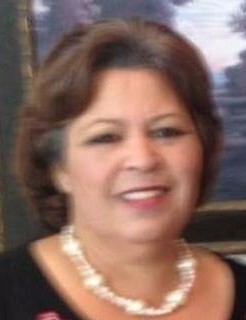 She was an insurance agent with United Insurance Company for 20 years and with Liberty National Insurance Company. She was a loving mother and grandmother and enjoyed spending time with her family. Sandra had a beautiful smile and was loved by everyone she met. Sandra was preceded in death by her parents, Verbin and Mildred Byrd; husband, Danny Weaver; daughter, Danielle Weaver; and infant sister. Those left to cherish her memory are her sons, Teddy Weaver, Verbin Weaver (Cadence Brinkley); grandchildren, Janiece, Teddy Jr., Daniel Eugene and Janice Ann; brother whom she raised as a son, Tom Byrd; brother, Mack V. Byrd (Annette); sister, Janice Pritchett (Cleotis); nieces, Alfrednee Dixon and Millie Byrd; nephew, Etrick Byrd; goddaughters, Kristie Weaver-Lofton and Miriam W. Taylor; special aunts, Myrtle, Maeola, and Kathryn; very devoted friend/sister, Jeanette McNeil; other relatives and many friends. The wake will be from 6-9 pm Monday, April 16, 2018 at Simple House of Praise Church. The funeral service will be 11 am Tuesday, April 17, 2018 at Simple House of Praise with Rev. Greg Kirkwood officiating. Burial will follow in Byrd Cemetery. Online condolences may be given at www.freemancitronelle.com. Freeman Funeral Home – Citronelle, Alabama.